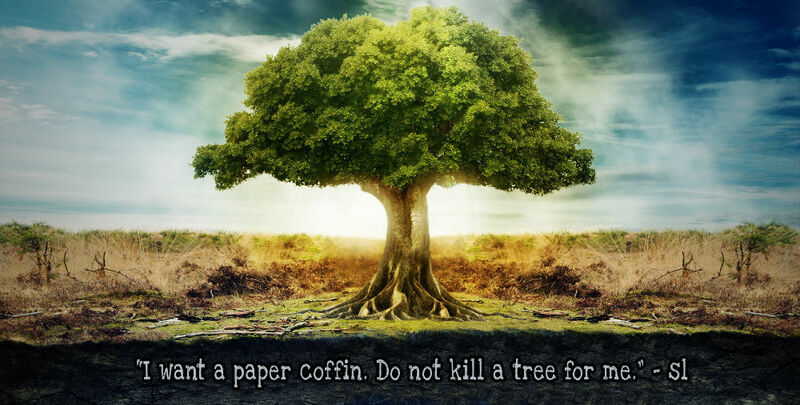 The selective use of corrugated carton paper, which has plenty of voids, makes the ECOffin exceptionally easy to burn, a challenge that a conventional coffin faces. For a typical wooden coffin, it take 15-30 minutes before the fire burns through the wood and can cremate the body. ECOffins on the other hand, only take 2 minutes to burn so that cremation begins almost immediately. And ECOffin weighs just 22kg compared to standard wooden coffins which typically weigh 60-80kg. The lighter weight means that less raw materials are used for construction and less energy is used for transport. Less energy is also needed to incinerate the coffin. Because of the speed at which an ECOffin burns, overall fuel required for the entire cremation process is less that that of wooden coffins. The carton material makes an ECOffin very biodegradable when it comes into contact with groundwater. This makes it highly suitable for burials, especially in Singapore where the National Environmental Agency has rights to exhume the grave after 15 years. Easy biodegradation will also result in much easier exhumation.